The heart and soul of Guardian Pet Sitters® are the pet sitters and dog walkers who provide our service. You trust us with your pet and home and we take that seriously. We carefully choose, screen and conduct background checks consisting of driving, credit, social security and criminal reports. Our screening process is intense and asks questions to learn about the individual and their character. 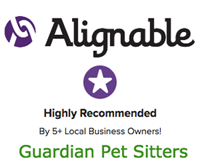 By choosing Guardian Pet Sitters® you can rest assured that your pet is being pampered and cared for by a highly qualified, carefully screened, trustworthy pet care professional. 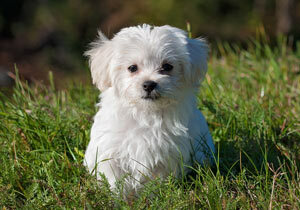 Sharon Jones, founder of Guardian Pet Sitters®, is originally from Kentucky and has resided in The Colony since 1989. Her love of animals and her feisty Shih Tzu “Precious” was the inspiration for starting the company. Through her own experiences with her “canine” family, she understands the benefits of keeping pets in their own home. Sharon shares her home with Charlie Brown, a youngster and supposed to be a cavalier/chihuahua mix (we haven’t DNA tested him yet). Sharon had to say goodbye to her 18 year old cavalier/peke mix in March 2018. Sharon enjoys working with women and enjoys theater, gardening, reading, cooking, traveling and spending time with her family and friends. She is proud of her niece and three nephews and wished they lived closer. Sharon enjoys her role serving clients, employees, and all the “special” animals. Since adopting Charlie Brown she enjoys training and has Charlie Brown enrolled in Manners 2 class at What A Great Dog Training. Charlie Brown graduated Manners 1 on February 9, 2019. 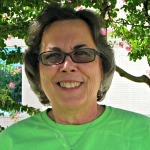 Valerie joined Guardian Pet Sitters® in April 2008. She is from Connecticut and moved to Texas in 1999 and She resides in Wylie. Valerie loves all kinds of animals, so it was second nature for her to become a pet sitter. Valerie shares her home with 4 dogs and 4 Cats. Learning from personal experience, she knows that keeping the pets in the home and having a normal routine as possible is best for them. Valerie works full-time as a Material Specialist for a contract manufacturing company and is a part-time staff member. She enjoys working in the community and her passion for the past 6 years is volunteering at In-Sync Exotic Sanctuary and Rescue for Big Cats. Valerie serves Wylie, Sasche, Murphy, Garland, Richardson and Plano. Moeno joined the Guardian Pet Sitters’ team in May 2015. Moeno graduated from the University of Texas at Dallas with a degree in biology and is seeking to gain her doctorate in neuroscience from there as well. She loves taking care of animals and as one of her clients said: “Moeno went above and beyond in taking care of Willie as well as our home!” Moeno has two dogs and a cat of her own and finds time to foster a few dogs. 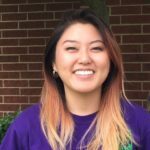 In addition to pet sitting, Moeno works as a pharmacy technician and laboratory technician in a research laboratory at UT Dallas. Moeno serves Allen, Northwest Plano, and Frisco. Junella joined Guardian Pet Sitters’ team in September 2014. Junella is a native Texan who loves animals. Junella is married and has a daughter and one stepdaughter. She has been in the Dallas/FT Worth area all her life. Junella is a very active person and loves being busy! She has two dogs an American Eskimo named Sasha and a Chesapeake Bay Retriever named Layla. She has had all types of pets in her life. 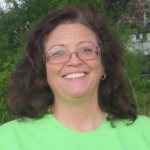 Junella has a passion for caring for animals and as one client said: “Junella is awesome! B & C barely noticed I was gone! Her hobbies are travel, photography, movies, music and being with her friends. 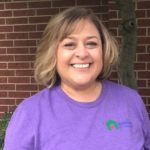 Junella serves The Colony, Frisco, Northwest Plano and Castle Hills. 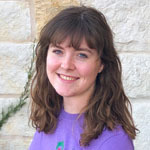 Gillian joined the Guardian team in February 2019. 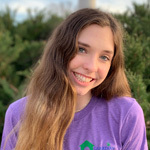 She is currently a sophomore at Collin County Community College and is leaning towards accomplishing a degree in either Animal Science or Montessori Studies. She was born in Iowa City, Iowa but moved to Carrollton Texas when she and her twin brother turned one. She has lived in her home in Carrollton since then. Her hobbies include spending time with her friends, going out with her boyfriend, playing tennis, and ping pong. Gillian likes being productive and staying busy! At home, Gillian has two cats named after the well known tennis star, Maria Sharapova…one is named Shara and the other Pova! She loves animals of all kinds, but misses having a furry dog around her home! Gillian is looking forward to continue servicing Guardians clients and forming bonds with all the animals she comes across. She has a huge heart for all of them and looks forward to each and every visit! She serves The Colony, North Carrollton and Castle Hills. 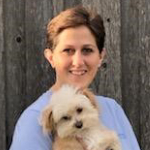 Kristen H. joined the Guardian Pet Sitters team in March of 2019. She has always been a passionate animal-lover and enjoys learning all things about them. Her current pets include a small Shih Tzu mix, a Thoroughbred horse, a Syrian hamster, and two Oranda goldfish. Kristen graduated from Texas A&M University with a Bachelor of Science degree in December of 2018. Not too long after graduating, she landed her dream job with an illustration agency as a children’s book illustrator. When she’s not drawing or pet sitting, Kristen enjoys horseback riding and taking her dog, Teddy, on walking trails.” Kristen services Frisco and The Colony.